Dated.. 21 8 September 1936. 2. 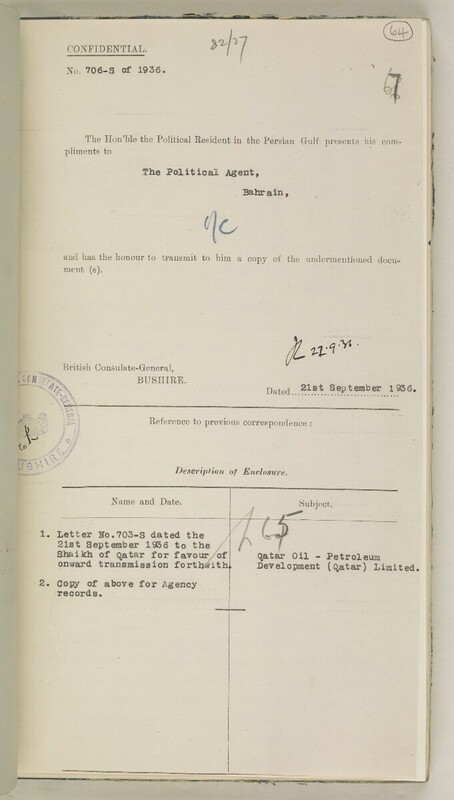 Copy of above for Agency An office of the British Government and, earlier, of the East India Company.